Mi Cosy Booties will ensure your little one has warm little feet this winter. The cosy little fleece booties have an anti-slip leather sole, ensuring little ones feel secure when tottering around the house. 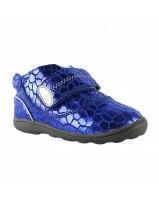 The cosy booties have a side opening and fasten with velcro. A must have for cosy little feet this winter. 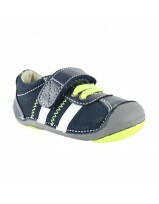 Anti-slip sole ensures the little one feels secure when up & about.Fleece exterior with 100% cotton lining. 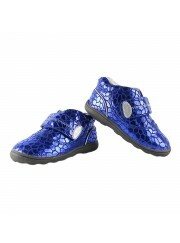 Sizes : 0-6 month, 6-12 months, 12-18 months and 18-24 months. It’s not lunch without peanut butter and jelly, and it’s not playtime without his Cruz sneakers. A perfectly posh wrap that allow her feet to feel as free as when they’re bare. Weelie provides the building blocks for monumental first steps. 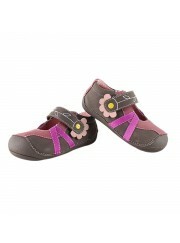 On her first trip to the pumpkin patch, her feet will stay comfy and warm in her Arenn sneakers. With crackled metallic uppers and an oversized, easy-open hook-and-loop strap, these Audra ankle booties will make her melt! Look what he found! Umi’s Sam for toddler boys is perfect for bug hunts and all kinds of curious expeditions.